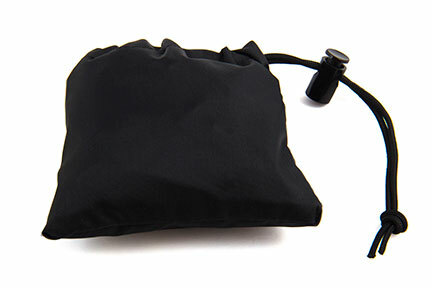 Easy to use, easy to store, one of a kind, made in the USA. 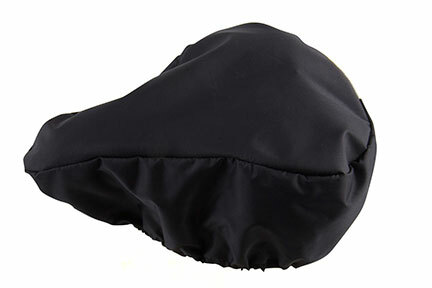 Adjustable to snugly fit most bicycle seats. 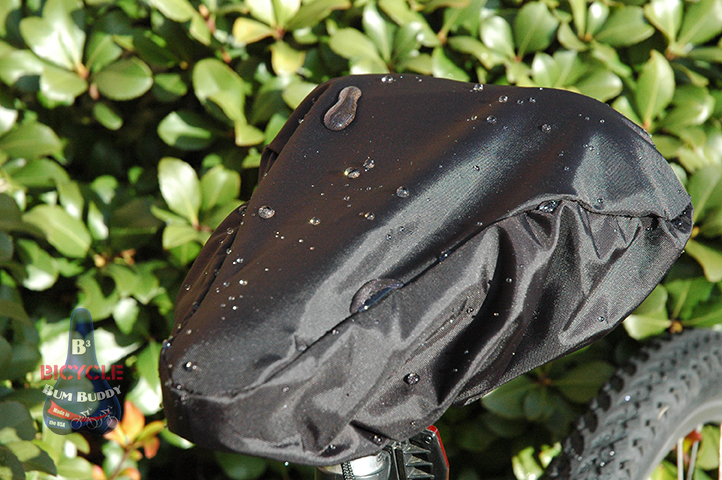 Never have a wet, grimy, sun damaged bicycle seat again! 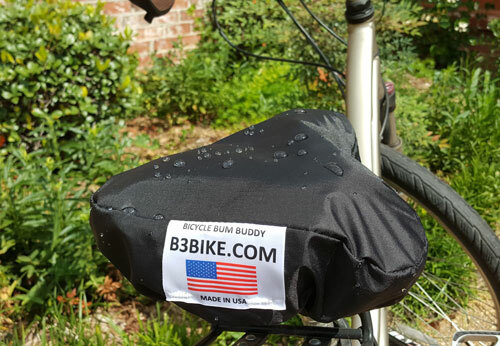 Pull your B3 out of its sewn in storage bag and place over your existing seat. 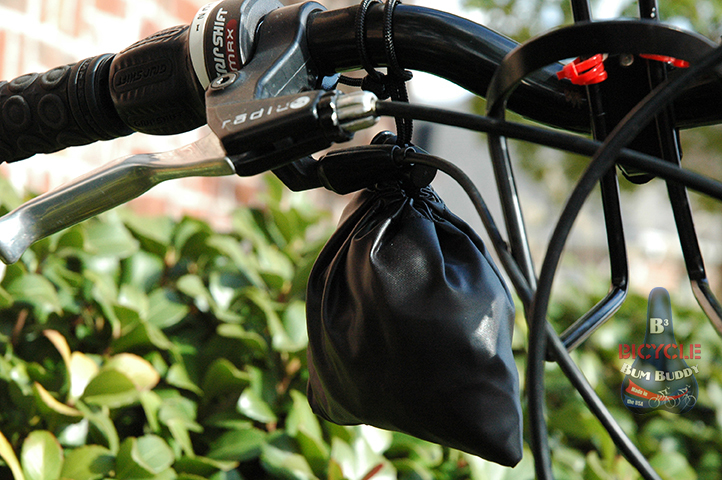 Adjust the drawstring to tighten and you are ready to transport your bike and weather outdoor elements; extend the life span of your seat. 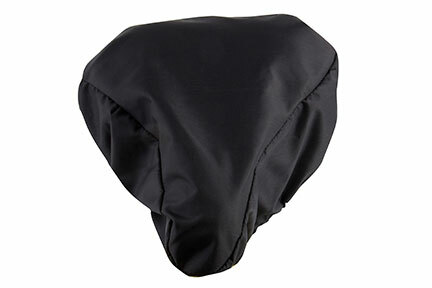 Dimensions length 10 in. x width 8.5 in x depth 4.5 in. 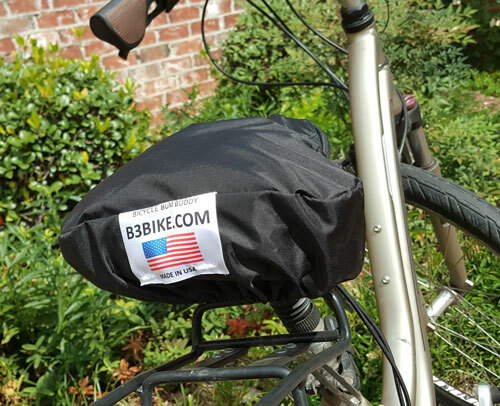 After 14 years of hauling bikes on the back of our motor home we were thrilled to get our B3’s. 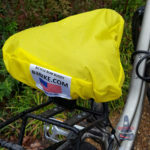 They are so easy to use and we leave them permanently attached below our bike seats in the built-in storage bag when not in use. 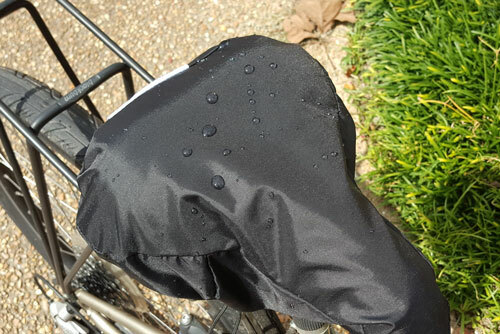 We never have a wet bike seat.